← Yep That’s me Rockin’ out in my Mini Van! 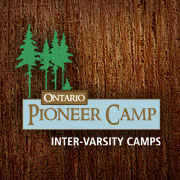 Ontario Pioneer Camp is #1 in our Hearts! How often do you get to step back into your childhood and play like a kid? 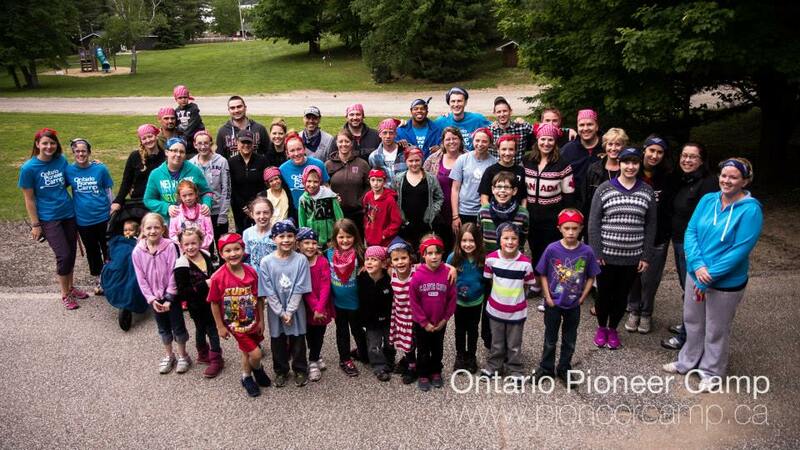 This past weekend I was given the chance to do just that as my family was invited to be guests at Ontario Pioneer Camp (OPC) in Haliburton! To be honest at first I was mostly excited for my kids as they have never been to camp (yet) and I thought they would have a blast. Well I was right that they had a ton of fun but my husband and I had just as much fun …maybe more! Sit back and enjoy as I retell our amazing time at OPC and also be sure to read about our kid’s thoughts on why they LOVED OPC! Right from the moment we were invited I knew this was going to be a special place and a wonderful getaway for our family. A week or so before we went we received a package in the mail. Not expecting anything, I was totally excited because really who doesn’t love getting mail, let alone a package! OPC sent us a camp care package filled with thoughtfulness! On the day we were leaving, the kids were up at the crack of dawn asking if it was time to leave yet and I only heard that asked about 40 more times that day. 😉 Finally we were overpacked and ready to go! 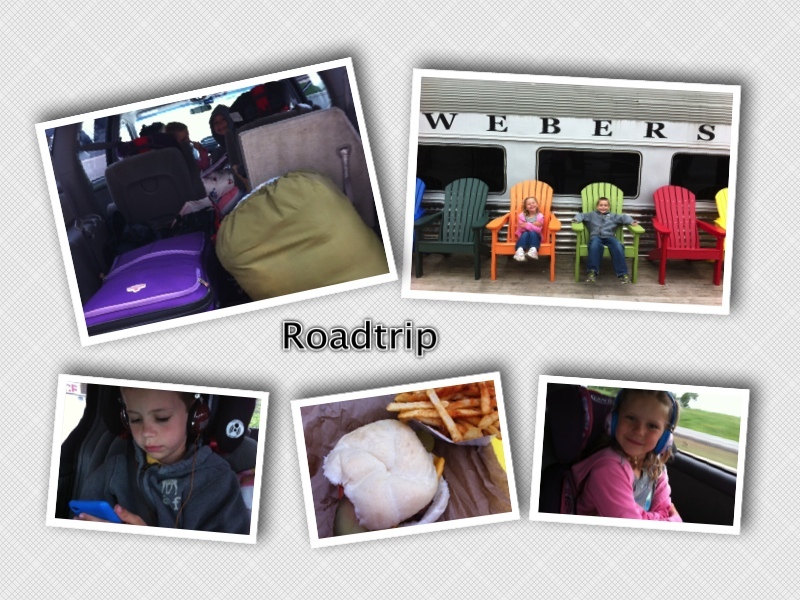 With a little pit stop at Webers for dinner along the way (thanks to the certificates OPC gave us in our care package) we rolled into OPC after dinner. We were welcomed with big smiles from the OPC staff and let me tell you, those smiles and their enthusiasm never wavered through our entire weekend! I truly think OPC hit the jackpot when they secured their staff. Every single one of them were fabulous and helped to make our weekend a great time. Once were all checked in and settled in our room we went to meet up with the other blogger families in the dining hall. The kids would have been happy to spend all of their time here on the ping pong table, Ed’s alley and playing the games but OPC had a night of fun planned for us. We went to a show at the Crow’s Nest that night that was full of humour, goofiness and even required a lot of audience participation much to my chagrin. I am not one to jump up and volunteer but I wanted to make the most of this opportunity so I agreed to participate in an eating competition. It was absolutely hilarious to try and move an Oreo that was stuck to my forehead into my mouth using only my facial muscles to get it there! I could hear my children laughing and cheering me on from their seats and I knew I was making the cool Mom category today. Next stop….bonfire with s’mores! The kids were in their glory stuffing their faces with marshmallows and s’mores and the camp staff was right there getting sticks, cooking marshmallows and telling stories to the kids. The kids could have stayed here all night but there were games and nachos waiting for us in the dining hall. 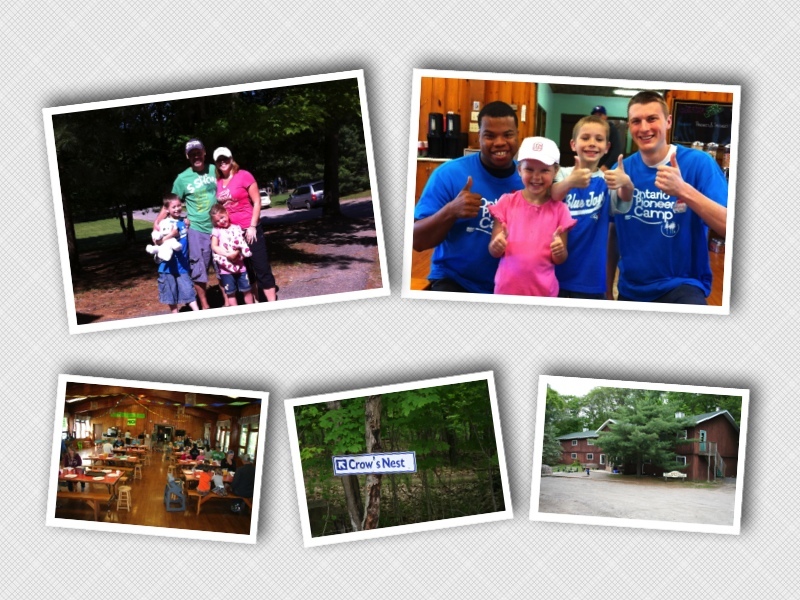 Day #2 – Rise and Shine Campers…it’s going to be a fun and busy day! Saturday was jam packed full of activities! Once they filled our bellies with a yummy breakfast we got to try our hand at archery, climb the awesome indoor rock wall, make some crafts and try out their low-ropes course. Now let me tell you, the kids were excited about all the activities but I think the kid in every single adult came out as we tried to master all of the activities as well. What a fun time to put the worries of your everyday life aside and have some good true fun! I loved how the kids cheered on their parents as they tried out the activities and you could see pride in both the parents and kids eyes as they watched each other complete the activity. We saw fear turn to courage, uncertainty turn to pride and most importantly we saw families having FUN! In the afternoon we got to spend some time on their beach where you could play beach volleyball, go for a swim, take a family canoe ride or just relax and take in the beauty of where we were! Once again the staff was there checking us in to the beach area so that everyone was accounted for, getting us out on canoes, teaching the older kids to kayak and even showing off their volleyball skills. At one point in the afternoon they loaded family by family into their huge war canoes and we paddled across the lake to see all the different areas of OPC. It was amazing to see all the camps, cabins, dining halls and certainly one of the coolest things was their worship area, Chapel Point, which is a point where all the camps come to meet on a Sunday morning to worship the Creator of their beautiful surroundings. We made our way to the Girl’s Camp where we were given a tour and the kids got to go down this awesomely fast water slide into the lake. Now some watched (yes I watched) but others braved the speed and cold waters below and said it was a great thrill!! After dinner we were split into two tribes based on our bandana colours, put on war paint and were challenged to defend our camp’s fire. What a blast this was!!! Kids and adults were to sneak up on the other camp’s fire and throw water balloons on it to try and extinguish it. I think at one point this game was all about the adults as our competitive sides came out and felt the need to win. In the end I don’t even know who won but there was a lot of laughs, some really soaked people from an impromptu water balloon fight (which I may or may not have started) and a great bonding experience. When we woke up on the last day I felt a bit of sadness knowing we had to leave this wonderful camp, the great staff and blogger families we had met. We all met for a another yummy breakfast, got in a few last chats, pictures and a couple last games of ping pong and Ed’s Alley. As we packed up our room, I listened to my kids talking about all the fun things they did, all the friends they made and how they can’t wait to come back. Their conversation ended with a pinky swear to each other that they would come back together without Mommy and Daddy and have a great adventure! My heart melted at that moment as I knew they had seen, as I had, what a super special place Ontario Pioneer Camp is. Would I send my kids to Camp? Before this weekend I would have said nope they’re not ready. As it turns out it was probably Mommy that was not ready. After this experience I would send them to OPC in a heartbeat. I think it gives children maturity, courage and a great sense of camaraderie. You could tell the staff loved what they did and had a true passion for working with kids. OPC you will see my kids in the near future! From one parent to another trust me when I say that your kids will have the time of their life at OPC, will be well taken care of and NO they will not want to come home when their time at camp is over! 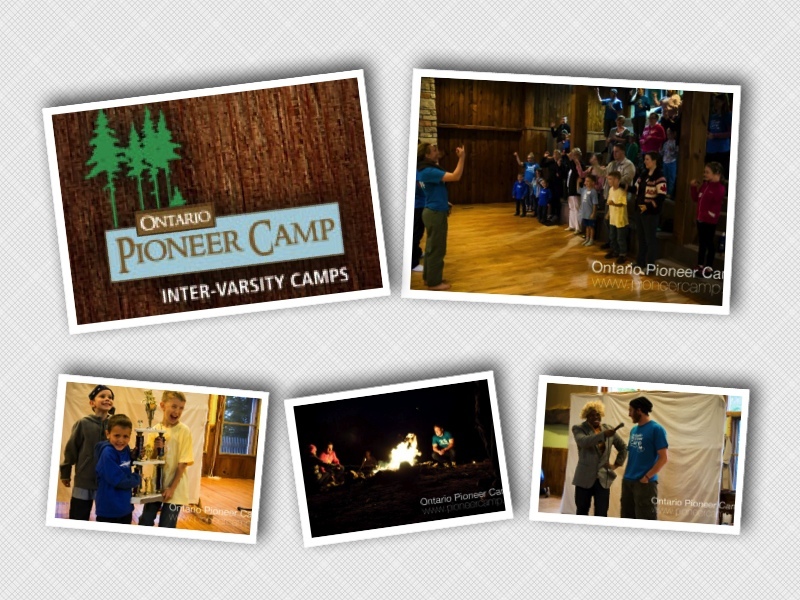 Check out what Ontario Pioneer Camp has to offer for your child (Ages 5-17) and you will keep sending them back year after year! I know that we never stop learning but there were things I learned about myself this weekend that surprised me so I can only imagine what a child can learn and walk away with after a week at camp! I am not one to normally step out of my comfort zone so when they asked for volunteers at the camp show the first night I was NOT the first person to raise my hand. After some encouragement (ahem finger pointing) from my kids I did get up there. Little did I know I would be sticking an Oreo cookie to my forehead and trying to move it into the mouth by only using my facial muscles. It was a hoot and I am so glad that I stepped out of my comfort zone! So I strapped on some climbing gear and decided to climb the rock wall. The kids are doing it and i’m not afraid of heights so it should be pretty easy. Boy was I wrong! As I neared the top something came over me and I started to shake pretty bad and the first thought that came into my head was “I’m out!”. How easy would it have been for me to come back to the stability of the ground and say I tried it. From the ground I could hear my kids cheering me on as well as my new camp friends telling me “You can do it”. In my heart of hearts I knew I could do it and persevered until I hit that bell at the top. Although still shaking when I made my way back down, I was proud of the courage I found deep within with the help from my supporters on the ground. Going into this weekend I knew only one other family that was going. From the moment we got there we were meeting and talking to all these new “blogger” families and instantly knew these were good people. I enjoyed meeting all the parents and their fantastic children and by the end of the weekend we were all hugging each other goodbye. The staff was the same way, we felt like we knew them when we left and we were very sad to say goodbye! I am not a child and do not pretend to be able to fully keep up with the energy that one has. I did think that the copious amounts of caffeine I consumed would keep me awake and raring to go all weekend. I now know that there is nothing that can keep you awake after a fun-filled day at camp. In our camp care package from OPC we received bug repellant. Thankfully we brought it along as with spring time comes mosquitos. Although the mosquitos were a swarming, we each only came home with a couple of bites. So thank you OPC for thinking ahead for us and sending us bug spray! We are so grateful that we were given this opportunity to visit OPC. We took a ton of pictures and met great people but in the end each and every one of us left with great memories that we will always remember! Thank you for welcoming us with open arms and sharing your wonderful camp with our family. See you soon! Posted in Family Fun in Ontario, Family Time, Fun for Kids, Reviews and tagged Christian camp, family fun, Haliburton Camps, Ontario Pioneer Camp, OPC, Review of Ontario Pioneer Camp, sleepaway camp, Top camps in Ontario, www.pioneercamp.ca. Bookmark the permalink.